Delivery from £7.00 to United Kingdom in 8 - 13 working days. Limited edition pack of four greetings cards. Digitally printed on paper made entirely in England. 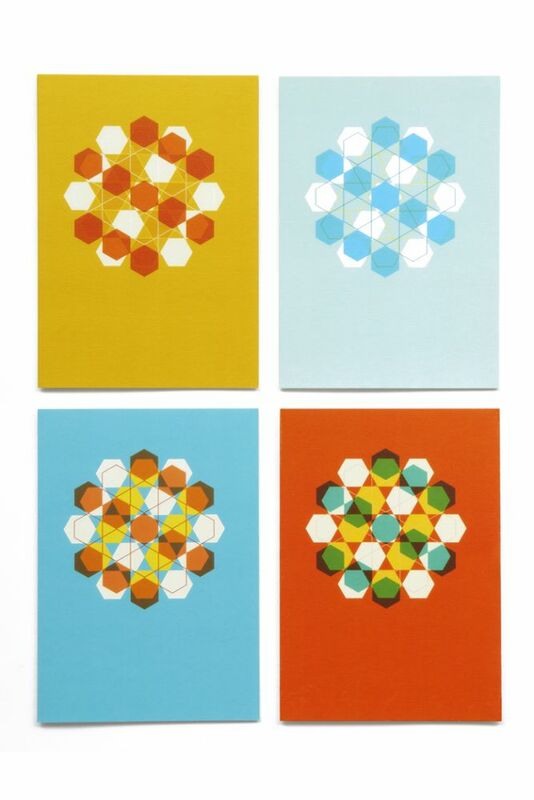 Four cards in blue (spring), orange (summer), yellow (autumn) and light blue (winter).